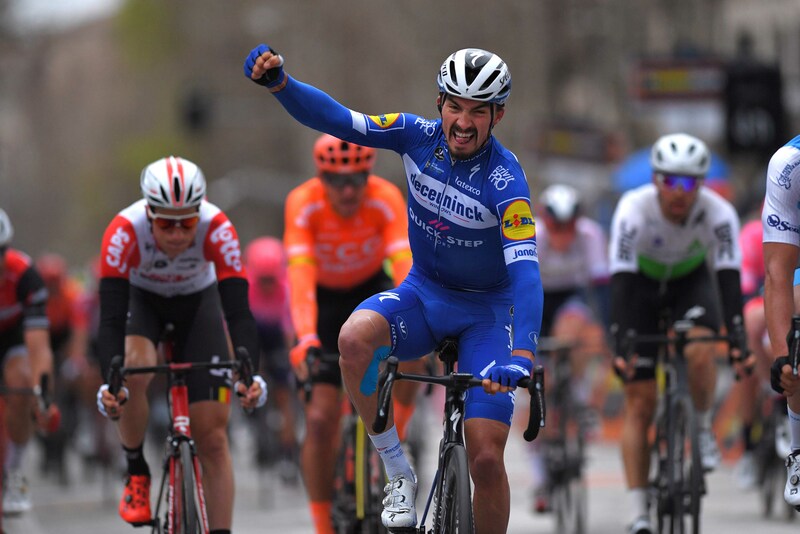 Julian Alaphilippe (Deceuninck – Quick-Step) took his second stage win at this year’s Tirreno-Adriatico when he surprised the sprinters in Jesi, a small town located not far from the coast of the Adriatic, where the race will conclude on Tuesday. 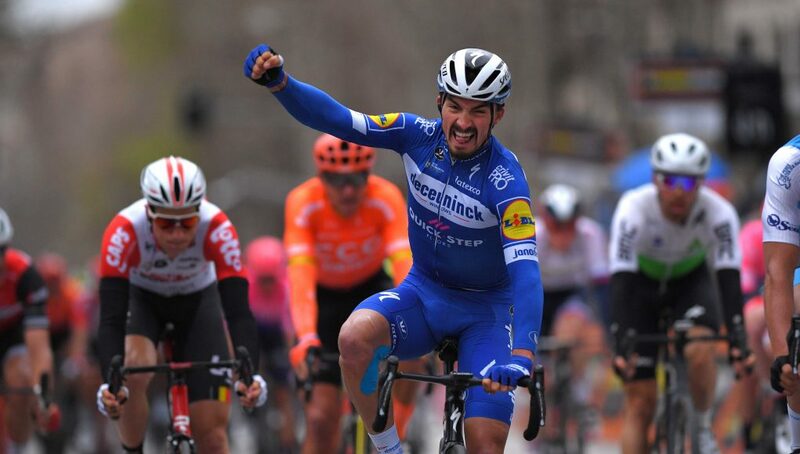 The riders faced a slightly uphill finish which shouldn’t have given any problems to the sprinters and Max Richeze gave out a powerful lead-out but it was Alaphilippe rather than Italian Champion and stage 3 victor Elia Viviani, who came off his wheel to take his sixth victory of the year. 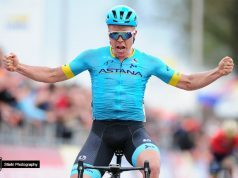 That was the main story of 195km-long Tirreno-Adriatico stage 6, which Deceuninck – Quick-Step controlled with Kasper Asgreen and Belgian Champion Yves Lampaert, the latter taking over the reins at the head of the bunch some 20 kilometres from the finish, on the second lap of the Jesi circuit, thus making sure the remnants of the original seven-man breakaway would be brought to heel before the sprinters’ big showdown. Deceuninck – Quick-Step controlled the peloton in the closing kilometres, and it was on the drag to the finish that as soon as Michael Mørkøv peeled off the front, Max Richeze’s lead-out helped Alaphilippe pull out a small gap on the others and hit the front with 150 metres left, from where the Frenchman put in a huge turn of pace and delivered the team’s 18th victory of the season. 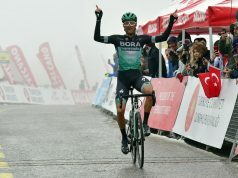 Davide Cimolai (Israel Cycling Academy) finished second with Viviani in third. 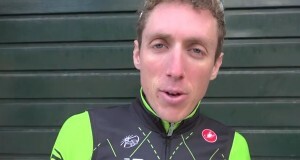 “Wow, it’s such a perfect Tirreno-Adriatico for us. It’s been a successful week for Deceuninck – Quick-Step here in Italy and I am glad I could finish off the squad’s amazing work today. 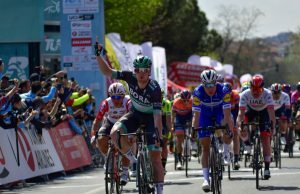 Kasper, Yves Max, everybody contributed to the pace and did a magnificent job on this stage, and for that I am extremely grateful”, said the first Frenchman in three decades to have won a brace of stages at a single Tirreno-Adriatico edition.